The three time major winner, alternating for Masters champion Phil Mickelson, defied winds gusting to 35 mph to fire a second round 69 to win by a stroke on five under par from American David Toms who carded 71. US Open champion Graeme McDowell closed with a 73 and US PGA winner Martin Kaymer a 71, to tie for third on three over par. Toms chipped in twice – once for a birdie at 12 and then for a par at 14 – but Els refused to be distracted as he produced a stunning sequence of figures despite the buffeting winds. “When David chipped in at 12 I thought OK, but when a guy does it twice in three holes then you think he’s destined to win,” Els said. “But I found something myself on that back nine. I’ve been trying to get more comfortable over my putts, and I found something in my putting stroke. The speed came back and I made some very good putts. 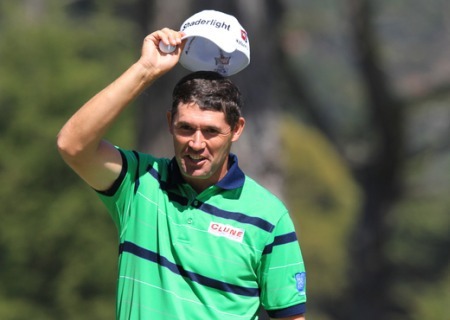 Els had four birdies in six holes from the 11th – including three in succession from the 14th – on the way to belatedly celebrating his 41st birthday last Sunday by collecting the $600,000 first prize. McDowell hit three birdies in his first five holes but took seven at the par-five seventh. Kaymer finished well with two of his four birdies coming in the last four holes. US Open champion Martin Kaymer claimed the PGA Grand Slam of Golf in a playoff over Masters champion Bubba Watson as World No 1 Rory McIlroy finished eight behind them in third after an error strewn 75 in wind-blown Bermuda. Martin Kaymer opened with a six under 65 at Port Royal in Bermuda to lead the PGA Grand Slam of Golf by two shots from Bubba Watson (67) with Rory McIlroy four adrift after a 69. 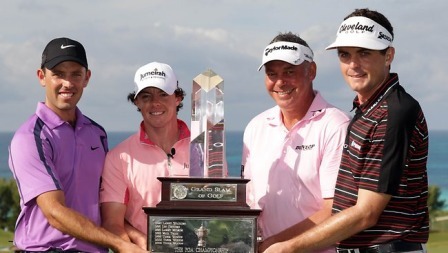 McIlroy in Bermuda as US Open champion last year. 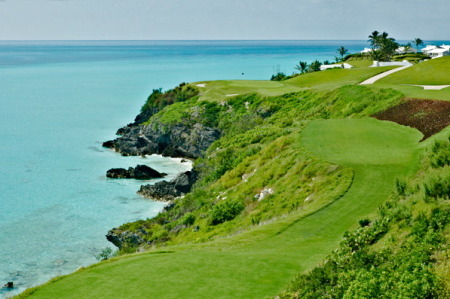 Rory McIlroy has opted not to play in October’s PGA Grand Slam, the Bermuda Royal Gazette has reported.